I agree with this statement whole-heartedly (whether diabetes related or not). The other night I moved my bed. (My room was a horrible navy blue and now that it’s nice and light and cream colored, I’m moving things to their final resting place.) When you start moving a bed at a BG of 96 mg/dL, chances are you’re going to go low. (And now I think I sound like this book.) So at the end of it, my mattress was still standing in the way of everything, but I knew I was low. So I crawled around on my floor (not because of feeling so low, but knowing it was on the floor, and I had already rested), found my meter and I was a glorious 43 mg/dL. 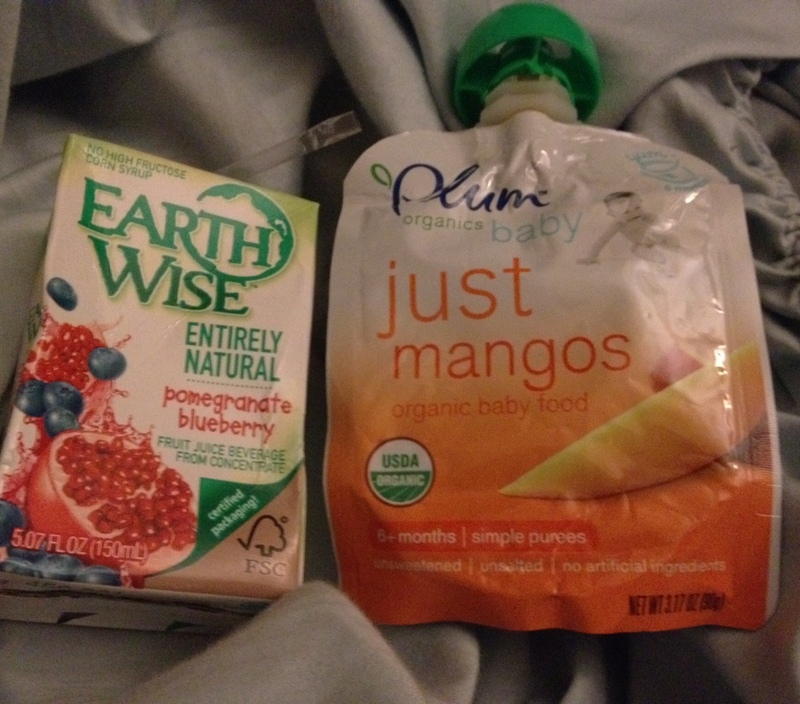 So I opened my new flavor juice boxes followed by mango baby food. And let me tell you, it was delicious. I am not totally opposed to tabs, but their chalky-ness can be annoying and Juicy Juice only tastes good for a little while and to actually enjoy my low treatment?! I was so excited. It’s just one of those things that makes living with diabetes a little easier to actually live with. Well… now that’s a Low treatment I’ve never tried! Very interesting combination, but you’re absolutely right: sometimes you just need a change of scenery, from bed-moving to Low-snacks. And gluc tabs only take you so far in the variety department. Here’s to mixing it up, when we find ourselves crawling on the floor. Thanks for sharing, Briley! I’m not sure I could handle that!